Today we’ve sent out instructions to all those who had signed up to be a volunteer to start a Code Club at their local primary school. Just incase you hadn’t signed up yet you can find all the instructions on the Volunteers page of our website. Good luck Code Clubbers! P.S Just incase you don’t know what that title means. Here you go. You’re welcome. On the 21st June we headed to The Grove Hotel just outside Watford for Founders Forum. It’s an annual gathering of successful internet entrepreneurs who come together to learn from each other. There is a good write up of the event here on Wired. 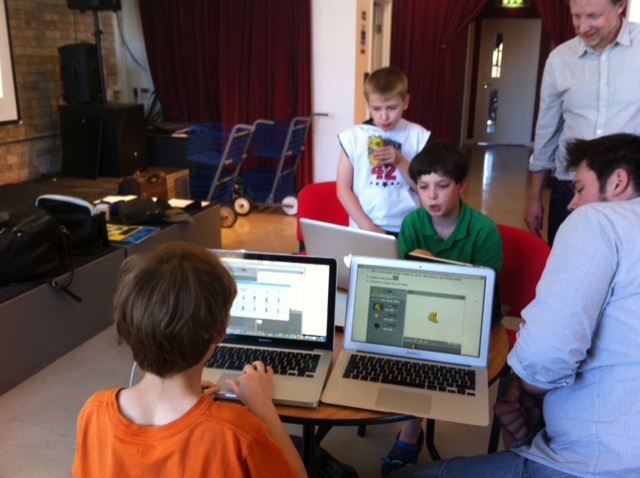 Founders Forum had invited us to come and challenge the delegates to think of an idea for a film to promote Code Club. We started the day by setting up a Code Club right there in the hotel. We had invited 10 children from Lauriston School from our local borough of Hackney to come and learn with us for the morning and to be ready to film later in the afternoon. Then with creative digital ad agency Albion London, ad production agency Hotspur & Argyle and social media agency Unruly Media, we briefed 300 top entrepreneurs. 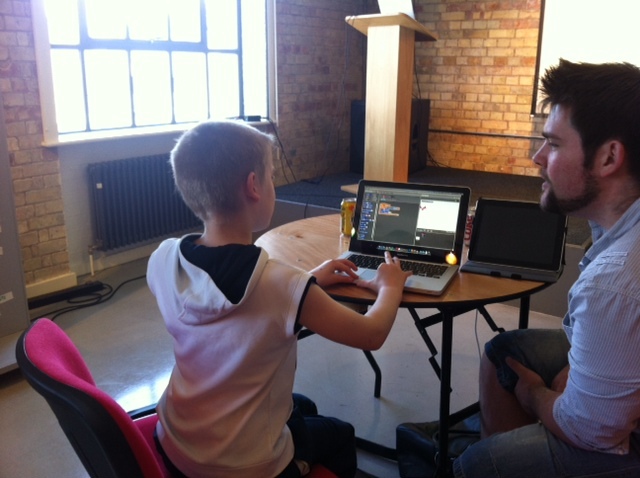 It was brilliant to watch these internet mega stars think of ideas to promote Code Club! They had 45 minutes to think of a super simple but impactfull idea that would make Code Club famous and ultimately would get parents to talk to their schools. It was amazing to see people jumping on their chairs to try and get an opportunity to pitch their idea to us. Once we’d heard all the ideas we retired to a back room to decide which idea to film. We decided on an idea by Fred Destin’s team which involved children interviewing big name internet stars for a position at Code Club. The next couple of hours of filimng were totally surreal as we met some the great and the good of the internets. Meeting Tim Berners-Lee was brilliant and I have to admit to a bit of a star-struck geek moment. The film and editing crew worked like crazy people to get the film made in time for a showing of the rough edit at 10.30pm after dinner. In the morning we worked on the edit a little more and released the final film to the world. It’s proven really popular and at the time I’m writing this just under 600,000 people have watched it! That is an incredible figure, we never could have hoped to reach that many people in such a short space of time without this film. As well as meeting Prince Andrew (!) and Tim Berners-Lee we also had great chats with the guys at Raspberry-Pi, Decoded and Treehouse so watch this space! The fantastic news is that since the video went live we have had over 300 more volunteers sign up and just under 50 schools register their interest. So we want to say a massively humoungous thank you to Founders Forum for inviting us, to our internet super stars for being such jolly good sports, to Hotspur & Argyle for filming and editing the film, to Theo Delaney for directing, to Unruly Media for spreading the message far and wide and last but by no means least to Albion London who sent a team of top creatives, producers and tech folk. Collectively they are know as Team Awesome. We think we might owe them all a pint! Well done for reading all of that. You can kick back and watch the film now!